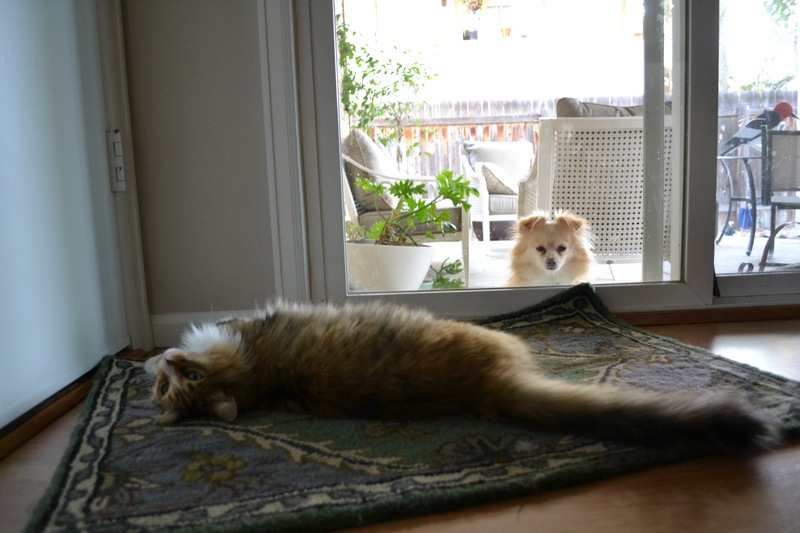 Poor Meowice wants out, Dog wants in. Relatedly, why do I always think that throw rugs are a good idea? They just end up crumpled in the corners and scratched to bits.